Drone building means bringing new features to your aircraft. 3D printing gives you the flexibility and the speed you need to create new drone parts. Whether you need to test a new prototype or you have finished your drone design and you want to produce it lightning-fast, 3D Printing is the way to go. Beyond speed, it also allows you to make your drone even lighter by unrestricted topology-optimized structure designs -improving battery life-, offers unlimited customizability for you or your customers and allows you to quickly manufacture hard to find spare parts. Drone makers already know this and have been taking full advantage of our superior quality professional 3D printers since the very beginning, printing all sort of parts from simple electronic cases to full single-piece support structures or custom made sophisticated 3-axis camera gimbals. Most manufacturing constraints are now gone, the assembly is no longer required, so choose the right material out of our wide range of materials and finishes and give us the opportunity to help your project to take off and succeed unlike any other! When designing a drone, choosing the right material is key. In this field, lighter means improved battery life and stronger means fewer frustrations in case of hard landings or crashes. This is why most people engineering drones go confidently with our plastic material: Lighter than most other plastic alternatives like ABS or PLA yet stronger than them, it is perfectly suited for virtually any drone part you could possibly need, regardless its size, color or surface finish. Once you have your design ready, just upload it to our site to have an instant quote along with a 3D view of your object where you can use our free tools to double-check the solidity of your design or even get bulk discounts. Thanks to our wide range of materials, we can help you with several types of projects: pocket drone, racing drone, quadcopter drone, drone frame, landing gear, electronic components, gopro mount, camera mount, etc. Imaging, surveying, topography analysis, photogrammetry, surveillance, aerial cinematography and so many other applications, drones are empowering professionals by giving them capabilities they never had before and at a cost they couldn’t have imagined. When off-the-shelf generic solutions are not enough for your specific requirements, drones still offer a powerful platform on which you can quickly develop your own tools thanks to Sculpteo’s 3D Printing Cloud Engine. If you or your company needs small to medium-scale production runs we also have you covered with our Batch Control tools that give you total freedom to choose how we should run your batch, including its orientation, layer thickness, etc. Today your custom made solutions are just a few clicks away. We're working with a range of full-color or monochromatic high-grade 3D printers that offer excellent accuracy (layer thickness from 25 to 150 microns). Build your own 3D printed drone now! No need to wait until Monday morning to get a quote, do it online! Our exclusive 3D tools allow you to check the solidity of the walls and how details will render. They will help you know if your file is 3D printable or not. There's no minimum order, we 3D print your model starting at 1 copy. If you are not in a hurry, we can offer you a cheaper price for your drone kit. We can prepare your 3D file on-request and take charge of the finishing steps (painting, display case...). 3D printing your drone has never been so easy! The industry of Marine Robotics has stifled innovation by keeping the mechanics and technology expensive. With 3D printing, people are able to prototype and final manufacture parts inexpensively and quickly. That's why we chose Sculpteo! We’d been making our pieces through traditional manufacturing so far, at much higher costs and longer waiting time. When we discovered 3D printing, we were convinced at once. UVify is an American racing drone company. In this competitive environment, they need to innovate extremely fast. Thanks to our 3D printing service, they're able to create one new iteration per week. According to them, they don't do rapid prototyping but super rapid prototyping! 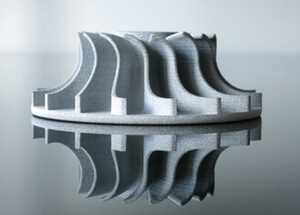 3D printing can truly be handy when it comes to your product development process. Indeed, it can help you save an impressive amount of time! That’s precisely what Svarmi, an Icelandic company, understood very well. They decided to work with our 3D printing service to create and produce their 3D printed drones. Making this choice helped them save 40% time on their product development process. Discover how. Blue Robotics creates submarines drone that stands up to the harsh conditions of the ocean. They're using 3D printing at every step of their product development process. 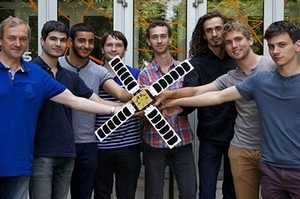 Discover their 3D printed drone project! Sweep make LiDar technology affordable and easy for everyone. Discover how 3D printing and drone projects are strongly linked. In order to 3D Print, you need to send us a 3D file that you can easily design with a 3D modeling software (or CAD Software), or get from 3D scanners. For beginners, we suggest a list of free software and offer free tutorials to help you create your stl files. 30+ 3D file formats are accepted on sculpteo.com! You just need to upload your files for 3D printing and we'll give a feedback and a quote for your custom 3D designed part in seconds. We also provide optimization tools to help you to get your 3D models at the best price. After creating your 3D file with your 3D modeling software, you can choose directly online your material and your scale. Plastic, full-color material, resin, alumide, metals... the choice is yours! Tip: white plastic is best for 3D printed quadcopters. We deliver your order at the place of your choice so you can make unique drone parts! Items are usually shipped 48h after your order. Looking for some advice on finishing? Have a look at our tutorials about painting and finishing. Your drone parts and your prototypes can be printed in more than 75 materials and finishes. They include our plastic material with multiple polishing options and colors, our resin and transparent resin, our multicolor material and different 3D printing metal options like sterling silver. Through a vibrant community, our support and all the resources we produce, we are here to give the best advice to use the latest 3D Printing technologies and save your time. Our blog highlights many case studies, covers the news of the 3D printing industry, and provides deep industry-specific analyses.